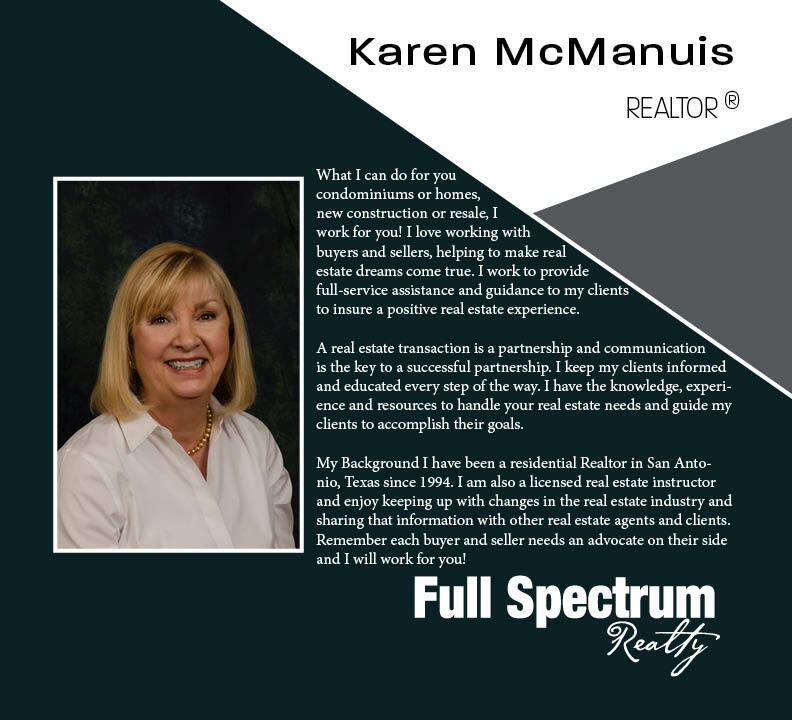 Karen McManuis is a top producing REALTOR! She is extremely knowledgeable in all aspects of the buying and selling process and knows the City of San Antonio inside and out! Karen is committed to her clients and takes their best interest to heart. Karen is also a dedicated advocate of the Alzheimer's Association here in the community.